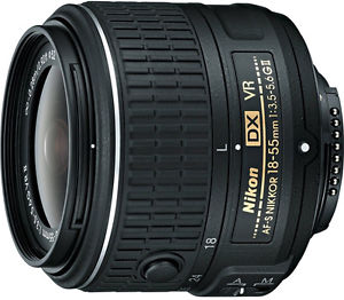 The length of the Nikon AF-S DX NIKKOR 18-55mm f/3.5-5.6G VR (3.0x) lens is approximately 79.5 mm from the camera lens mounting flange. The diameter of the lens is approximately 73 mm. The weight of the Nikon AF-S DX NIKKOR zoom lens is just 265 g for easy portability.